Shannon graduated from the University of South Carolina in Columbia in 2010 where she majored in Exercise Science and minored in Psychology. She went on to earn her Doctorate of Physical Therapy from Emory University in 2013. 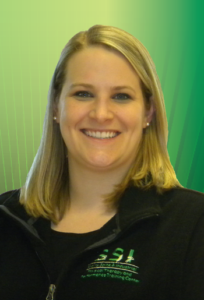 Shannon joined the SSI team in September 2014 where she enjoys treating a variety of orthopedic injuries. Although Shannon grew up in California, she moved to Greenville when she was 15 and never went back. Shannon currently lives in Greenville with her husband, son and their beloved dog. In her free time, Shannon enjoys sending time with family, playing golf, exercising, and participating in many different sports.